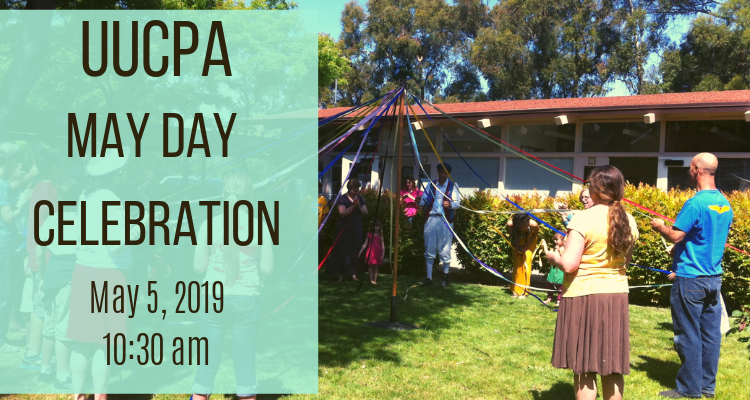 On Sunday, May 5, we’ll have our annual May Day celebration, with Morris dancing and Maypole dancing to welcome Spring. Morris dancing is done each year by middle school teens (gr. 6-8). Robert Neff will teach a traditional stick dance during Sunday school time, and the teens will perform it with Robert during social hour. Maypole dancing takes place right after the Morris dancing, and anyone, of any age, can participate (young children should have a parent with them).